In the lowly worm Caenorhabdritis elegans, it has been long possible to understand the exact lineage of each of its 959 somatic cells. That is, one can know for each and every cell, who its parental cell was, and grand-parental cell etc., back until the very first cell division (feast your eyes on these movies of C. elegans development). Similarly, it is possible to follow what networks of genes are transcribed (turned on/off) as these cellular divisions and differentiations occur. In this sense, one can reconstruct the transcriptional events occuring within the nucleus of a cell with outward changes in cell structure and migration as the lowly li’l worm develops. If, for example, there were genes that led to abberant behavior in the worm, then it would be possible to query when and where such a gene was expressed and under who’s transcriptional control. Such a tool would be powerful and useful indeed – especially if there were genetically-based abberant behavioral disorders in worms. Nice to be a lowly worm (psychiatrist) these days. So, what about human brains? and human genes that have been correlated with changes in brain structure, brain activity and/or brain disorders? Are there tools that allow us to reconstruct an outward cellular lineage and correlate it with a transcriptional lineage? Where might genes for abberant brain function lie in such a lineage? – perhaps early in the course of brain development, with many subsequent genes under its control and whose expression mediates the development of many daughter and granddaugter cells? Or perhaps mental illness risk genes have little regulatory oversight and have rather specific effects on a small number of specialized cells later in the course of development? Wouldn’t we like to know! With this query in mind, it was fun to read a recent article entitled, “The organization of the transcriptional network in specific neuronal classes” by Winden et al., [free access doi: 10.1038/msb.2009.46]. This article describes an amazing bioinformatic open-public use tool called, “Weighted Gene Co-Expression Network Analysis” which seems to have been developed in the lab of Steve Horvath at UCLA (one of the co-authors). 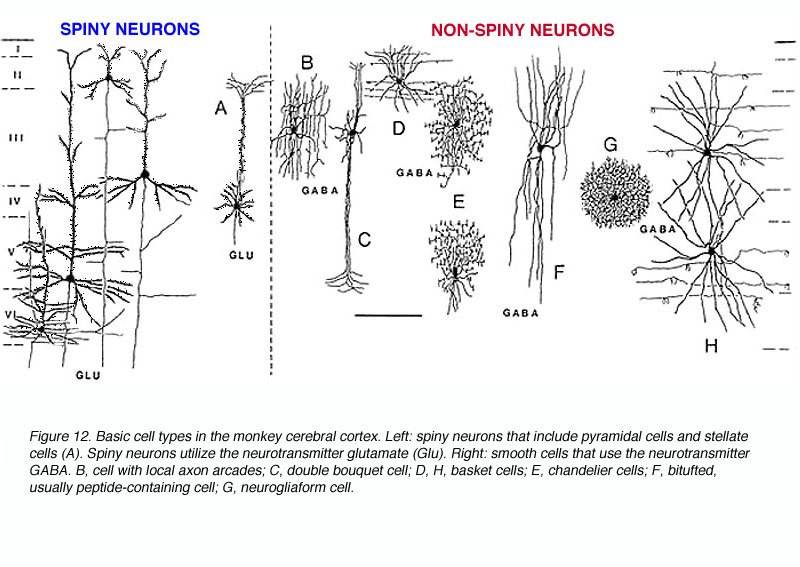 The authors examined the gene expression data from an array of 12 different adult neuronal cell types (this analysis was performed using mouse brain tissue) and used the WGCNA method to organize the patterns of gene expression and then asked how they relate to different cell morphologies and physiological attributes (such as firing patterns). In this way, they are beginning to construct a genetic road map of mammalian brain development that is much like that for C. elegans. To me, the really exciting thing about this particular analysis (they also have used this method to compare gene expression in a brain-region-specific way in humans vs. chimpanzees) is that the different cell types in the brain perform different – here comes the punchline – computations! 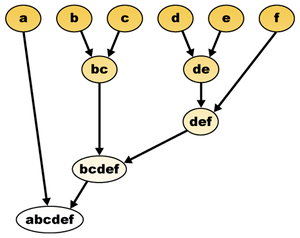 Thus, if there be a genetic code for neuron structure/function (and from the work of Horvath and colleagues, it looks like there be), then it should be possible to begin to assign these module-specific genetic factors to computations or computational properties of the brain – and have a more mechanistic synthesis of genetic influences on cognition. A few examples from the paper include different transcriptional co-expression networks (modules) for glutamateric and GABAergic cell types, which have distinct functions in the regulation of neural dynamics (ie. computation). Further analysis yielded different co-expression modules for the development of different types of interneurons. The team also finds different co-expression modules for aspects of cell-firing and synaptic structure which would very likely have effects on neural-network dynamics. Also, there is an analysis of the RGS4 knockout mouse and a query into the specificity of the co-expression module that contains RGS4 (very few abberant gene expression changes outside the RGS4 module) which – since RGS4 has been associated with schizophrenia – reveals clues on the expected consequences of RGS4 mutations in humans. There is really too much to cover in a single blog post, so am going to dig in to the data in more detail and report back later. An amazing tool graciously shared with the community!